This Spoon Sports S-Tai kitted AP1 S2000 is a beautiful example of how the selection of the right parts can make a car come together. When it comes to body kits for the S2000 there are really only two that really matter, the Power House Amuse GT1 kit, and the Spoon S-Tai kit. Eric Tsoi chose the S-Tai kit. In fact, he chose it even before he had a car to bolt it to. Eric knew what he wanted to build from the start, and it was something the purists may frown upon. First off, he decided that he did not want all of the Spoon kit parts and instead decided to opt for a standard AP2 hardtop and a chassis mounted GT wing from Battle Aero. The Spoon fastback top that is normally paired with the rest of the body kit really changes the lines of the car a lot. Using the standard spoiler keeps that clean stock profile while the GT wing provides extra pop. 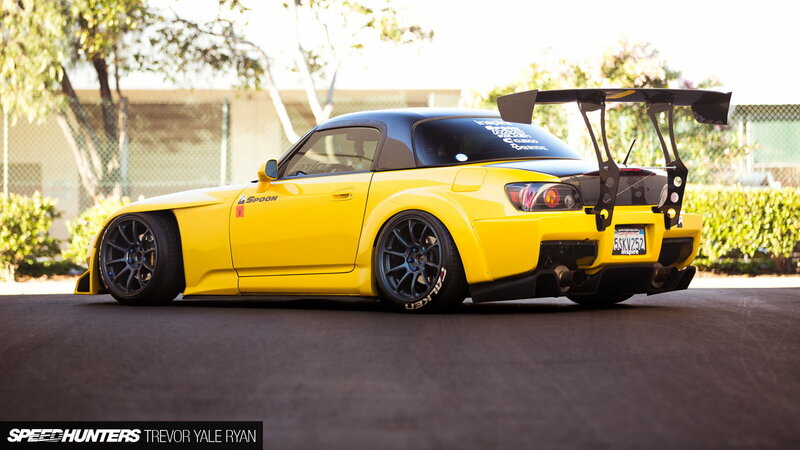 >>Join the conversation about if this AP1 build right here in S2Ki.com. The thing that truly makes this AP1 stand out so much is just how aggressively the widened Spoon fenders are filled in. 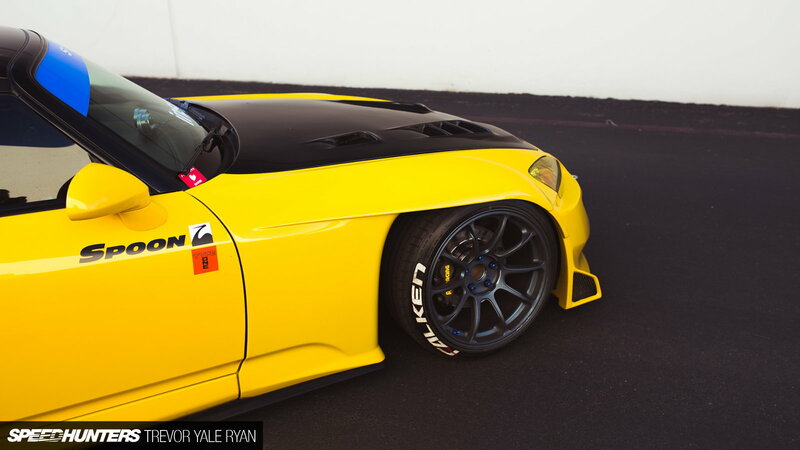 The Volk ZE40's come right up to the edge of the fender lip. Now, the Spoon kit is not cheap, and since this car is a daily, something had to be done to allow Eric to drive around in the Bay Area without destroying that front bumper. And that is where things take a turn for the strange. Eric's car sits on a D2 air suspension that is controlled through an AirLift Performance controller. This allows him to get that perfect stance when he wants, but also go into straight skyjacker mode when the roads get really rough. 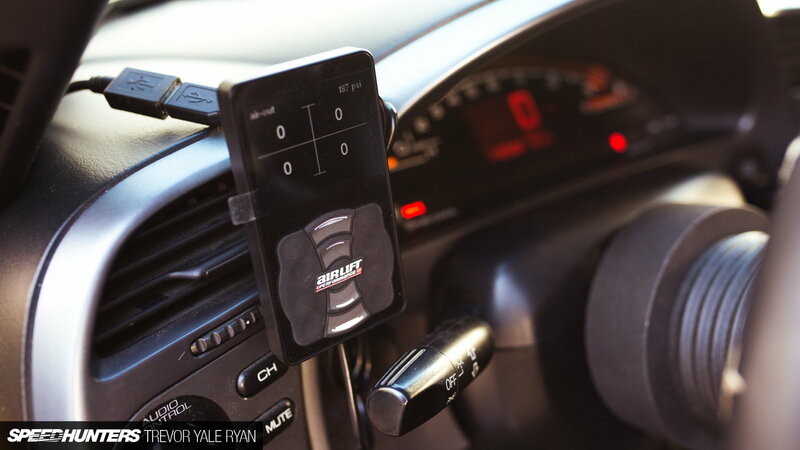 As airbag technology gets better companies are figuring out how to make cars handle better on them. There are even a couple Global Time Attack cars running air suspension currently to help destroy the notion that these are for looks only. However, not everyone is going to be convinced that anything not static is okay. 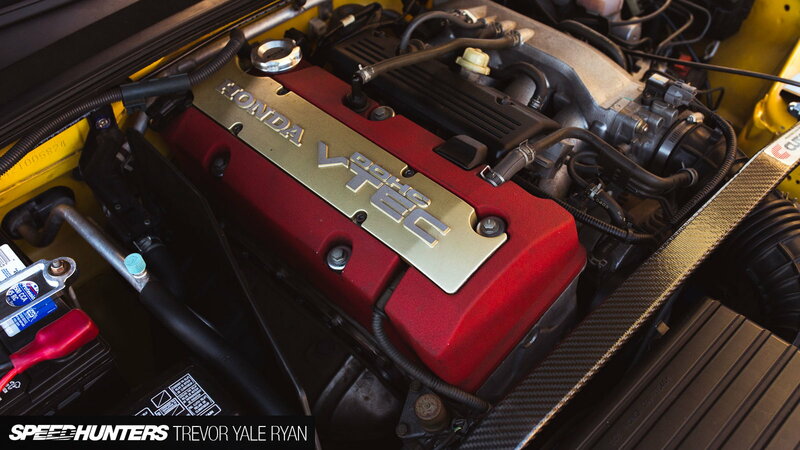 Many people will argue that standard coilovers should have been used to keep it pure, but this build was never about being pure. 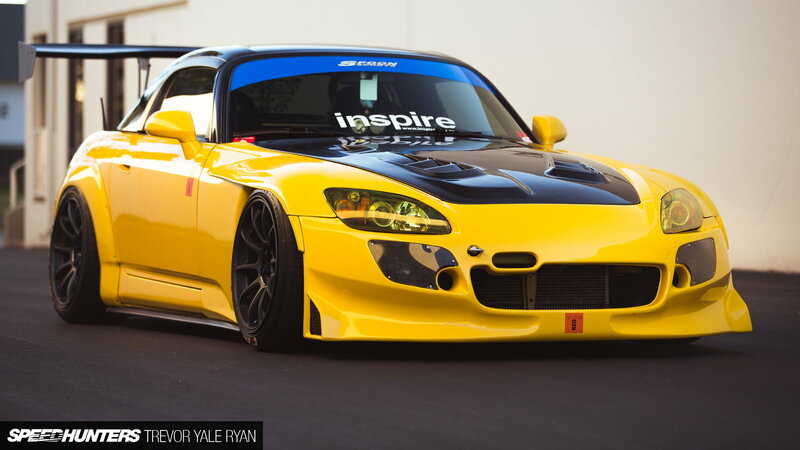 There is no denying just how good Eric's AP1 looks when sitting and completely aired out. Every bit of the S-Tai kit gets accentuated when the fitment is so on point, and we have to stand up for how well this build came together. Now admittedly, the race car looks are not backed up by much performance yet. The F20C is basically stock, only being helped out by the Spoon intake that integrates with the front bumper. There is no need to worry though, as there is a Kraftwerks supercharger kit waiting to be installed shortly. With the Kraftwerks kit installed, horsepower being over 400 is easily obtainable with the subsequent bite matching the bark. The thing that is great about car culture is that there are many ways to build a car, and you can always do things your own way, even if they are against the grain. 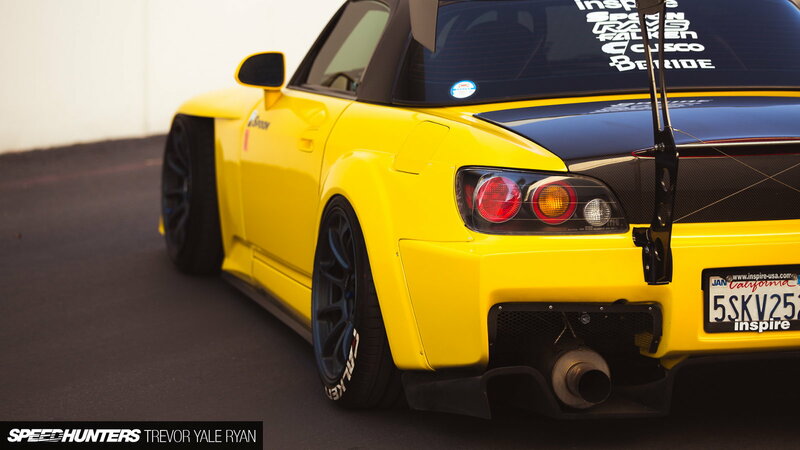 Eric's S2000 isn't for everyone, and it's going to attract a few haters. But it wasn't made for everyone, it was made for Eric. 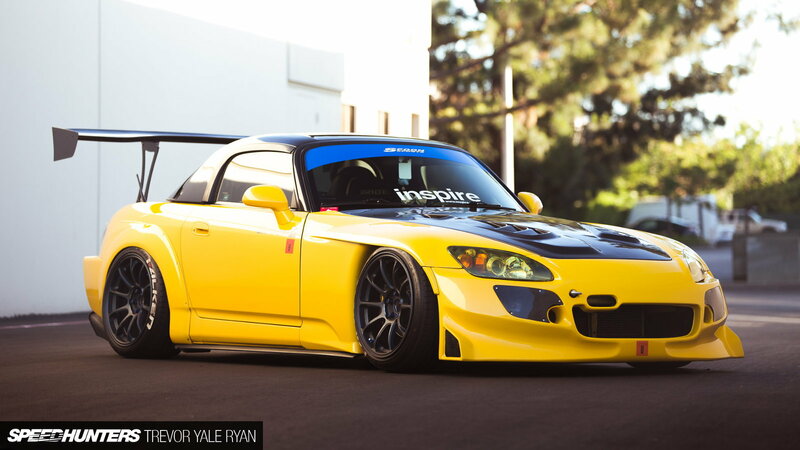 Eric had a vision and he executed it, and because of that, the world now has one more beautiful Spoon S2000.